Moss thrives in a damp, shady environment. For this reason it often occurs on the north side of a roof since it receives the least amount of sun or under overhanging trees that provide shade. Over time it will cause roof tiles to degrade. 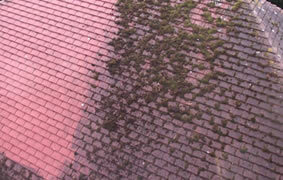 Moss and lichen growth not only looks unsightly but can damage your roof tiles. Moss can be a major contributor to reducing the effectiveness of your roof tiles as it absorbs water and accelerates their erosion. 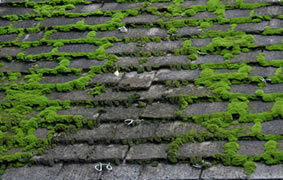 Moss growth can cause loose ridge caps, cracks in mortar and can even break tiles. When moss gets out of control it can also block your gutters and down pipes. You could try to remove roof moss yourself but why risk your own safety on a high, slippery roof when you can call in the experts who will deal with it quickly and effectively and at an affordable price! 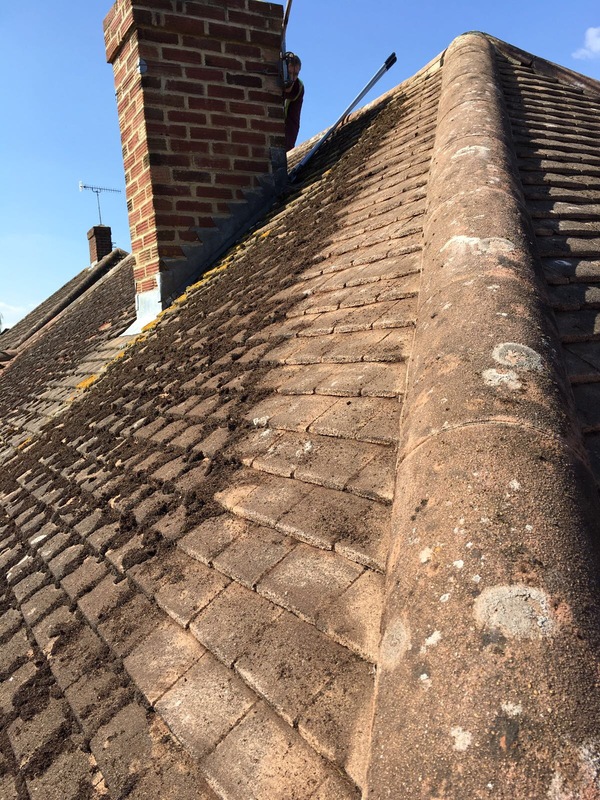 Moss Guard are based in West Sussex and our roof moss cleaning services are available throughout Sussex, Surrey and Hampshire. We provide FREE QUOTES, are fully insured and guarantee to work to the highest standards.